The Adtran NetVanta 1700109G1 Octal FXO Voice Moduleis an Analog Trunk Voice Interface Module (VIM2) for the NetVanta 6000 Series. 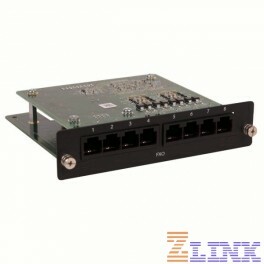 It provides eight analog RJ-11 trunk (FXO) ports for termination of PSTN circuits. For advice, reviews and industry insight... be sure to follow us online.